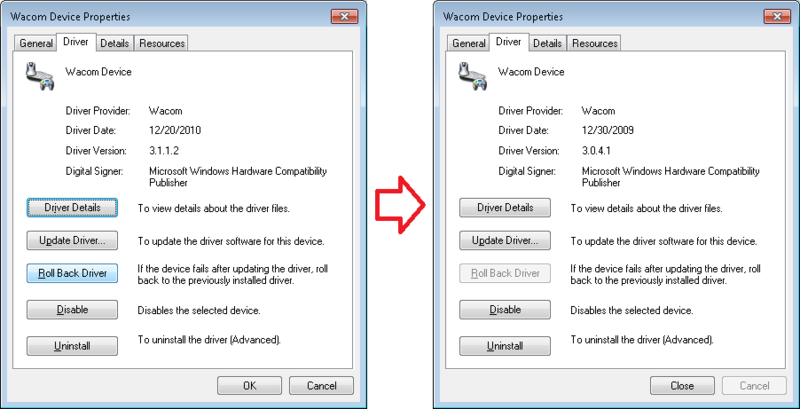 9/9/2014 update: Earlier this year Wacom released updated drivers for Windows for supported PEnabled devices (the HP 2740p included) at http://us.wacom.com/en/feeldriver/. 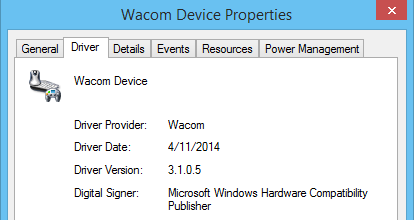 I’ve confirmed that in Windows 8.1 and after uninstalling (and rebooting) any existing Wacom pen driver packages (e.g. “Pen Tablet” listed n Add/Remove software) and then installing ISD_DualTouch_720-10.exe (“Enhanced Tablet Driver 7.2.0-10”) enables Photoshop pen pressure support or similar in any other application that relies on Wintab driver support. Information below is about my HP 2740p (and possibly HP 2760p) tablet running x64 Windows 7. Suggestions here may or may not help with your particular hardware/software configuration. My HP 2740p tablet’s great and after the HP touchscreen firmware update (3043-35D_0C6C, 4012-FOA (14 Jul 2010) – sp49201)– to fix the issue with touch not working in certain situations usually after resuming from sleep– everything works reliably. Using Dependency Walker to profile Photoshop, I found that Photoshop loads and executes code within the following Wacom files found at c:\windows\syswow64\, Pen_Tablet.dll and Wintab32.dll. The versions I have installed, from the Wacom_PenTablet_521-6a.exe package listed below, are: 5.2.1-6 and 1.0.4-3 respectively. I haven’t tried it, but if those files aren’t present and you have a compatible Wacom Device device driver installed, Photoshop could fail to let you use Pen Pressure functionality. Check for those files in your Windows install and if not install the Wacom_PenTablet_521-6a package. Here’s a neat tip for searching for Windows driver updates used by Windows Update. Go to the Microsoft Update Catalog (you will need to install an ActiveX control) and search on the hardware ID you’re interested in, e.g. ACPI\WACF00E. The x64 3.1.1.2 package for “Wacom – Input – Wacom Device” updates the driver ACPI\WACF00E which is installed to c:\windows\system32\drivers\wisdpen.sys (Wacom ISD Tablet HID MiniDriver). 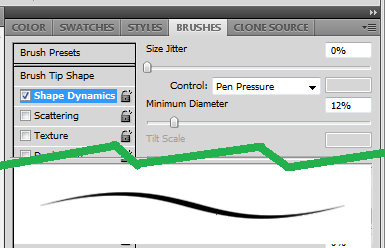 So something changed between Wacom’s wisdpen.sys v3.0.4.1 and v3.1.1.2 to break pen pressure sensitivity in Photoshop. I tried poking around for public exports on wisdpen.sys for clues why but none exist. I also took a look at the differences pre/post update installation of the registry for the wisdpen service at HKEY_LOCAL_MACHINE\SYSTEM\CurrentControlSet\services\wisdpen—no differences. And the only difference between the 3.0.4.1 and 3.1.1.2 driver installation file, wisdpen.inf, was adding a registry value for BaudRate at the above key. There are some interesting string differences between the two wisdpen.sys drivers themselves, like missing DefaultPenMouse/DefaultTouchMouse entries, but no smoking gun like “DisablePhotoshopPen” and nothing actionable. At this point, unless I write my own Wacom Digitizer driver, I’m likely grasping at straws. If anyone has any pointers on Photoshop interaction with digitizer minidrivers, please leave a comment.